In Hear This, A.V. Club writers sing the praises of songs they know well. This week: Songs with “radio” in the title. 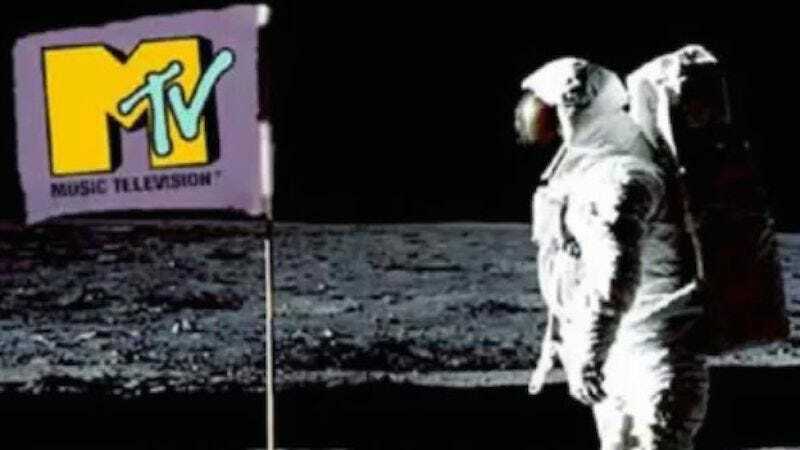 In the annals of pop music, no other one-hit wonder has had the impact of The Buggles’ “Video Killed The Radio Star”—not even the “Macarena.” The song was the first-ever video played on MTV at 12:01 a.m., August 1, 1981 (it kicks in at the 5-minute mark in the clip above). The new music channel could not have picked a more appropriate track to lead its new charge. Decades after this first fall of radio, future Buggles Geoff Downes and Trevor Horn wrote this song with Bruce Woolley, who recorded an early version for his band The Camera Club, with Thomas Dolby on keyboards. When Downes and Horn then became the British electronic-pop outfit The Buggles, they re-recorded “Video” in 1979 for their first album The Age Of Plastic. In the ’80s, lyrics like “We can’t rewind we’ve gone too far / Put the blame on VCR” appeared to be predicting the next advances in technological media, as the song itself transitioned from a more traditional piano sound at its start to a heavy rain of synthesizers by the end. And sure enough, videos like the one for this song soon changed the face of music, with MTV-friendly stars like Madonna and Michael Jackson commanding the entire pop landscape, unlike the “radio stars” of only a few years prior. Although “Video” was The Buggles’ brief shining moment, the two bandmates went on to join another outfit: prog-rock veterans Yes. Then Downes helped form the “supergroup” Asia, which allows “Heat Of The Moment” to make a lot more sense. From today’s viewpoint, for a 1979 track, “Video Killed The Radio Star” has aged quite well, as has its legend of usurping an old brand of media with just one irrepressibly catchy song.